Proceeding to trial is expensive and it is hard on the entire family: spouses, children, and even friends or members of their extended families. But there are Alternatives To Court because not every separation and divorce needs to go to trial. Mediation and arbitration can reduce the cost and speed the process, and we have helped many couples end their marriage without fighting it out before a judge. 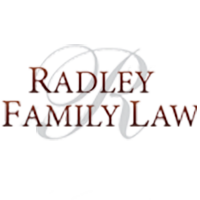 The two most common family law alternatives to trial are mediation and arbitration, both of which can help avoid litigation,. In mediation, the couple agrees to appoint a neutral third party to help them reach a settlement. The mediator does not make the decision for the spouses, but rather helps them find a way to agree on things such as support payments, property division, and child custody. If either spouse thinks the process is not working for them, they may end the mediation process at any time. If it is “closed” then what is discussed in front of the mediator cannot be used as a weapon in court or even at trial later, should the mediation process break down. But if a voluntary agreement is reached, the terms are written into the separation agreement and become binding once both spouses sign the document. In an arbitration proceeding, both spouses agree on a neutral third-party who acts as the decision-maker for them, similar to a Judge. So, unlike in mediation, the arbitrator makes decisions that become a binding part of the arbitration award. In many respects, arbitration is like your own private court. For some couples, the fact that arbitration outcomes can be confidential is very appealing, although, if filed with a court for enforcement of any of the terms, the agreement becomes public. Other couples like the speed of the arbitration process. In nearly every instance, arbitration is less expensive than going to trial. Our goal is to provide you with options in how you separate and end your marriage because family is important to you and me.